What will Dublin's footballers learn against Fermanagh on Sunday? This could be another procession for the Sky Blues. 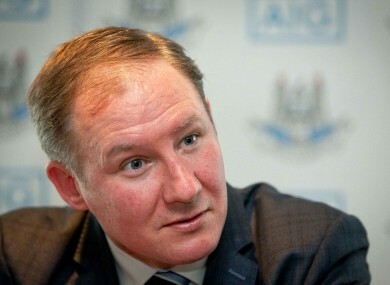 Dublin boss Jim Gavin has plenty to ponder. IT’S ALL TOO predictable really, isn’t it? Fermanagh against Dublin, David versus Goliath. In the biblical story, David was armed with only a slingshot and stones and yet still managed to defeat the giant Philistine warrior, Goliath. At Croke Park on Sunday, it’s highly unlikely that a similar shock will unfold. Dublin haven’t been tested all summer and they won’t be this weekend either. In their three Leinster championship outings, Dublin’s aggregate winning margin was a massive 59 points. The Sky Blues hosed Longford by 27, had 19 to spare against Kildare and 13 was the winning margin in the provincial final victory over Westmeath. The eternal optimists will point out that the figures have decreased in that time but even though Westmeath gave Dublin enough to think about in the first half, a two-goal blast in a minute saw them off. Westmeath came and parked the bus but the Lake County left the ignition on. Damage limitation is all well and good but only if you can score enough at the other end of the field. Six points was a paltry return in a provincial final but Westmeath could leave Croke Park with the knowledge that they weren’t hosed unlike the teams that had gone before them. Ultimately, it counted for little as they lost by nine points against Fermanagh in the qualifiers. They only scored seven points in that game and maybe, with hindsight, Westmeath boss Tom Cribbin will wonder how things might have worked out had they opened up and had a real cut off the Dubs. Badly is the probable answer as Dublin’s attacking arsenal is too potent and powerful to go man on man against. Fermanagh travel to Croke Park in a perilous situation. GAA HQ is uncharted territory for the Erne County but Dublin know the place intimately. Fermanagh boss Pete McGrath is talking a good game, insisting that his men will come and have a go. But even in defeat, it will still have been a fine season for McGrath and his charges. Armagh and Derry are two Ulster heavyweights who failed to make it past the qualifiers and yet here are Fermanagh in the last eight, and with a glamour fixture to look forward to. Following a line of form, one could suggest that Dublin’s winning margin might not be as wide as some pundits might think. Westmeath lost to Dublin by 13 points and Fermanagh by nine but the conditions and psychology were different in both of those games. Westmeath were coming off the back of a Leinster final defeat, and without key forward John Heslin, and didn’t have much stomach for the fight. And if you’re more on the pessimistic side about Fermanagh’s chances, remember that they lost by ten points against Monaghan in the Ulster championship. Victories over Antrim, Roscommon and Westmeath have taken Fermanagh to Croke Park and for that, they deserve huge credit. McGrath, the mastermind behind Down’s All-Ireland wins in 1991 and 1994, is a shrewd character and will endeavour to ensure that Fermanagh aren’t disgraced by Dublin. But targets and goals mean different things in different counties. At the start of the year, if you told Fermanagh that they would gain promotion from Division 3 of the Allianz League and contest an All-Ireland quarter-final, they would have taken that in a heartbeat. For Dublin and boss Jim Gavin, it’s an All-Ireland or bust but the danger is that they will be badly undercooked at the semi-final stage, which was their undoing against Donegal in 2014. Of course, and as the old saying goes, Dublin ‘can only beat what’s put in front of them’ and so far, they’ve done just that. ‘Performance’ is a Jim Gavin watchword but it’s very difficult to switch into ultra-intense mode when you haven’t been subjected to those conditions since, well, Donegal last year. Dublin’s semi-final opponents could be Donegal or Mayo and then, and only then, will we know if Gavin’s men are capable of replicating their successes of 2013 and 2011. For Fermanagh, it will take more than slingshots and stones to slay a powerful opponent. Email “What will Dublin's footballers learn against Fermanagh on Sunday? ”. Feedback on “What will Dublin's footballers learn against Fermanagh on Sunday? ”.